Silverlight for single dealer portals? There has been a big push from Adobe towards using Flex (and to a lesser extent LiveCycle Data Services – their messaging product) for trading portals and you can certainly build a flashy offering, as can be seen in the recent launch of Morgan Stanley’s Matrix. But questions still remain over the ease of development and deployment of such a large-scale enterprise application, and though the Flex Builder seems to make this easier, digging beneath the surface can make for a frustrating experience, as Alex Vandeberg’s excellent analysis recently described. Could Silverlight be an answer to this? Caplin Trader is Caplin’s toolkit and platform for building trading portals, in production at a number of banks. The client-side framework is built in Ajax (the browser’s native presentation technology), though we allow and encourage the embedding of content in any RIA techology – be that HTML, Ajax, Flash/Flex, Silverlight (and even Java Applets if you are still that way inclined!). I believe that this approach encourages building a best-of-breed portal: You use Caplin’s APIs and the browser’s native language for the container and most pricing and trading components, but where appropriate (for example rich media, 3D, vector graphics) you have the freedom to seamlessly embed a more suitable technology such as Flex or Silverlight. In addition you can leverage existing web content with minimal effort. The alternative approach of using one of these proprietary plugins for the container makes it very hard to embed anything else within the container. Caplin Trader is built on top of the Caplin Platform – a generic financial client-connectivity, web messaging and trading layer. Caplin have always provided client APIs for a variety of languages (Java, .Net, Ajax, C++ currently) to allow people to either integrate with existing applications or build their own from scratch (usually where Caplin Trader isn’t suitable or desired). What is interesting is the growing demand for Silverlight as a client-side target for Caplin’s technology. 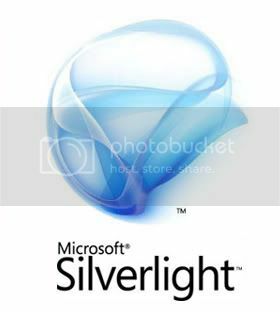 I know of at least 3 large investment banks that are kicking off projects targetted at Silverlight. Whilst not yet cross-asset single dealer portals on the same scale as Matrix (or most of the Caplin Trader projects), it’s interesting that they’ve bitten the bullet despite lingering doubts over adoption rates and install base (<30% as of today at riastats.com), though Microsoft would like you to think otherwise!